Tips for a Successful Telephone Interpretation - Niki's Int'l Ltd. The inventive concept of teleconferencing has allowed parties in Africa to work simultaneously with parties in Europe and the US all at the same time. They are able to communicate and work together while breaking down language barriers through the use of telephone interpretation services. Telephone interpreting connects human interpreters to individuals who need to communicate but do not speak the same language. Conducting business with partners in remote geographical areas or simply scheduling a follow up appointment with a limited English proficient (LEP) patient is all made possible through the use of telephone interpretation services. “What Are The Pros and Cons of Telephone Interpretation?” explains the language service in great detail and allows you to understand what the best circumstances are for utilizing telephone interpretation services. Many businesses, medical facilities, law offices and educational establishments use telephone interpretation services for a multitude of scenarios because it allows the exchange of fairly simple information to be delivered without having a physical on-site interpretation session. When communication needs to take place and the LEP patient or client is in a remote location or region. During emergency room intake, processing and discharge. Police departments often utilize telephone interpreters when inside a LEP individual’s home, during arrests or while questioning. Telephone interpretation is often used by lawyers to communicate with their LEP clients. Any time a brief description or short amount of information needs to be presented to a client or patient. Any employee working for an establishment that utilizes telephone interpretation services regularly to help communicate with their LEP clients or patients, has walked away from a session feeling as though information was perhaps, “lost in translation.” Everything seems to move quickly when you don’t understand the language being spoken and there is no way for you to be sure that the client or patient was given all the necessary information. This can be extremely stressful especially when medical or legal information is what’s being interpreted over the phone. We learned about the role of the interpreter in the article, “10 Helpful Tips for Telephone Interpreters,” now let’s take a look at some helpful tips for you to incorporate into your next telephone interpretation session. Introduce yourself to the interpreter as well as to the LEP individual and let everyone on the line know the reason for the call. If there are multiple people in the room, introduce everyone, it is important to establish a trust amongst parties involved, and for everyone to be aware of who all is participating in the telephone interpretation session. Relax and speak at a natural speed and tone of voice, allow yourself to use a comfortable volume and pace. Always speak in first person. Eliminate background noise as best as possible and if other people are present, ask them to be quiet during the session, unless asked to speak. Noise is distracting and you want to ensure focus during a telephone interpretation session due to the fact that the people involved are not speaking face to face. You’re in control of the conversation, the telephone interpreter is only there to facilitate communication, not to direct or manage. Do not ask the interpreter his or her opinion, again they are there to bridge language gaps. Allow the LEP individual to know that all information discussed is private and confidential so they can feel secure in divulging private or confidential information. Feel free to ask the interpreter or LEP individual questions to ensure that all information was understood and that everyone is on the same page. Speak with clarity and be concise in your sentence structure, use “plain English,” when possible and avoid any use of overly difficult terminology or industry jargon. Understand there are many linguistic as well as cultural differences amongst languages, allow time for the interpreter to interpret the information in a way in which the LEP individual can clearly understand the information being presented to them. Ask specific questions and know what your goals are prior to the session so you can better accomplish them. Encourage the interpreter to ask you questions if they need more clarification regarding a term or concept you spoke about. Smile and be kind, this allows all parties involved to feel comfortable and it will create a better outcome for the LEP individual, the interpreter and you. Working with a creditable translation agency can help to eliminate the majority of issues faced while engaged in telephone interpretation sessions. Enlisting the aid of professional telephone interpreters ensures proper and correct communication and eliminates potential misunderstandings. The convenience of the service allows people to communicate despite the language or dialect needed or the region in which they are located. 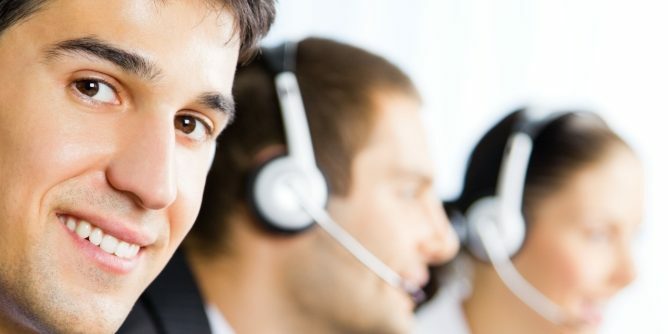 Niki’s Int’l Ltd. is a translation company who offers you access to a network of experienced telephone interpreters available to connect with you within two minutes or less any time you call for telephone interpretation services. Working with professionals can allow you the ease of mind that your information was correctly and successfully presented to your LEP patient or client free of errors and void of misunderstandings. Don’t walk away from another unsuccessful telephone interpretation session feeling as though your important information was, “lost in translation.” Contact Niki’s Int’l Ltd. and gain access to a worry free partnership with a reputable translation company that will help you accommodate your valued LEP clients and patients through their reliable telephone interpretation services.